Able to get into the preview view and simulating the print. [MainThread] UM.Settings.ContainerRegistry.addContainer : Container [empty_definition_changes] added. [MainThread] UM.Settings.ContainerRegistry.addContainer : Container [empty_variant] added. [MainThread] UM.Settings.ContainerRegistry.addContainer : Container [empty_material] added. [MainThread] UM.Settings.ContainerRegistry.addContainer : Container [empty_quality] added. [MainThread] UM.Settings.ContainerRegistry.addContainer : Container [empty_quality_changes] added. 2019-03-05 10:14:03,571 - INFO - [MainThread] UM.PluginRegistry.loadPlugin : Plugin [CuraBlenderPlugin] has been disabled. Skip loading it. 2019-03-05 10:14:03,573 - INFO - [MainThread] UM.PluginRegistry.loadPlugin : Plugin [CuraOpenSCADPlugin] has been disabled. Skip loading it. 2019-03-05 10:14:03,576 - INFO - [MainThread] UM.PluginRegistry.loadPlugin : Plugin [CuraInventorPlugin] has been disabled. Skip loading it. 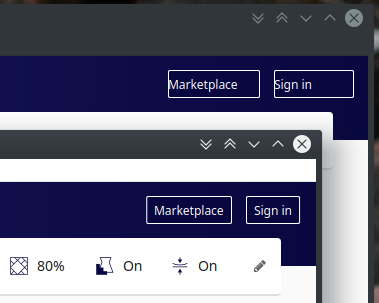 2019-03-05 10:14:03,579 - INFO - [MainThread] UM.PluginRegistry.loadPlugin : Plugin [CuraFreeCADPlugin] has been disabled. Skip loading it. 2019-03-05 10:14:03,584 - INFO - [MainThread] UM.PluginRegistry.loadPlugin : Plugin [CuraSolidWorksPlugin] has been disabled. Skip loading it. 2019-03-05 10:14:04,069 - INFO - [MainThread] UM.VersionUpgradeManager.upgrade : Looking for old configuration files to upgrade. 2019-03-05 10:14:04,743 - DEBUG - [Thread-22] UM.Backend.Backend._backendLog : [Backend] (at your option) any later version. 2019-03-05 10:14:04,744 - DEBUG - [Thread-22] UM.Backend.Backend._backendLog : [Backend] GNU Affero General Public License for more details. 2019-03-05 10:14:04,745 - DEBUG - [Thread-22] UM.Backend.Backend._backendLog : [Backend] along with this program. If not, see <http://www.gnu.org/licenses/>. 2019-03-05 10:14:05,213 - WARNING - [MainThread] CuraEngineBackend.CuraEngineBackend.slice : Slice unnecessary, nothing has changed that needs reslicing. 2019-03-05 10:14:05,624 - DEBUG - [MainThread] UM.Settings.ContainerRegistry.addContainer : Container [ultimaker_s5_glass] added. 2019-03-05 10:14:05,646 - DEBUG - [MainThread] UM.Settings.ContainerRegistry.addContainer : Container [ultimaker_s5] added. 2019-03-05 10:14:05,648 - DEBUG - [MainThread] UM.Settings.ContainerRegistry.addContainer : Container [ultimaker_s5_aluminum] added. 2019-03-05 10:14:05,706 - DEBUG - [MainThread] cura.Machines.QualityManager.initialize : Lookup tables updated. 2019-03-05 10:14:05,716 - DEBUG - [MainThread] UM.Settings.ContainerRegistry.addContainer : Container [Ultimaker 3_user] added. 2019-03-05 10:14:05,717 - DEBUG - [MainThread] UM.Settings.ContainerRegistry.addContainer : Container [ultimaker3_odroid_case] added. 2019-03-05 10:14:05,718 - DEBUG - [MainThread] UM.Settings.ContainerRegistry.addContainer : Container [um3_global_High_Quality] added. 2019-03-05 10:14:05,719 - DEBUG - [MainThread] UM.Settings.ContainerRegistry.addContainer : Container [Ultimaker 3_settings] added. 2019-03-05 10:14:05,739 - DEBUG - [MainThread] UM.Settings.ContainerRegistry.addContainer : Container [ultimaker3] added. 2019-03-05 10:14:05,739 - DEBUG - [MainThread] UM.Settings.ContainerRegistry.addContainer : Container [Ultimaker 3] added. 2019-03-05 10:14:05,744 - DEBUG - [MainThread] UM.Settings.ContainerRegistry.addContainer : Container [ultimaker3_extruder_right #2_user] added. 2019-03-05 10:14:05,745 - DEBUG - [MainThread] UM.Settings.ContainerRegistry.addContainer : Container [ultimaker3_extruder_right_#2_odroid_case] added. 2019-03-05 10:14:05,747 - DEBUG - [MainThread] UM.Settings.ContainerRegistry.addContainer : Container [um3_aa0.4_ABS_High_Quality] added. 2019-03-05 10:14:05,752 - DEBUG - [MainThread] UM.Settings.ContainerRegistry.addContainer : Container [generic_abs #2_ultimaker2_plus] added. 2019-03-05 10:14:05,752 - DEBUG - [MainThread] UM.Settings.ContainerRegistry.addContainer : Container [generic_abs #2_ultimaker2_plus_0.25_mm] added. 2019-03-05 10:14:05,752 - DEBUG - [MainThread] UM.Settings.ContainerRegistry.addContainer : Container [generic_abs #2_ultimaker2_plus_0.4_mm] added. 2019-03-05 10:14:05,752 - DEBUG - [MainThread] UM.Settings.ContainerRegistry.addContainer : Container [generic_abs #2_ultimaker2_plus_0.6_mm] added. 2019-03-05 10:14:05,752 - DEBUG - [MainThread] UM.Settings.ContainerRegistry.addContainer : Container [generic_abs #2_ultimaker2_plus_0.8_mm] added. 2019-03-05 10:14:05,752 - DEBUG - [MainThread] UM.Settings.ContainerRegistry.addContainer : Container [generic_abs #2_ultimaker2_extended_plus] added. 2019-03-05 10:14:05,753 - DEBUG - [MainThread] UM.Settings.ContainerRegistry.addContainer : Container [generic_abs #2_ultimaker2_extended_plus_0.25_mm] added. 2019-03-05 10:14:05,753 - DEBUG - [MainThread] UM.Settings.ContainerRegistry.addContainer : Container [generic_abs #2_ultimaker2_extended_plus_0.4_mm] added. 2019-03-05 10:14:05,753 - DEBUG - [MainThread] UM.Settings.ContainerRegistry.addContainer : Container [generic_abs #2_ultimaker2_extended_plus_0.6_mm] added. 2019-03-05 10:14:05,753 - DEBUG - [MainThread] UM.Settings.ContainerRegistry.addContainer : Container [generic_abs #2_ultimaker2_extended_plus_0.8_mm] added. 2019-03-05 10:14:05,753 - DEBUG - [MainThread] UM.Settings.ContainerRegistry.addContainer : Container [generic_abs #2_ultimaker3] added. 2019-03-05 10:14:05,753 - DEBUG - [MainThread] UM.Settings.ContainerRegistry.addContainer : Container [generic_abs #2_ultimaker3_BB_0.4] added. 2019-03-05 10:14:05,754 - DEBUG - [MainThread] UM.Settings.ContainerRegistry.addContainer : Container [generic_abs #2_ultimaker3_BB_0.8] added. 2019-03-05 10:14:05,754 - DEBUG - [MainThread] UM.Settings.ContainerRegistry.addContainer : Container [generic_abs #2_ultimaker3_AA_0.25] added. 2019-03-05 10:14:05,754 - DEBUG - [MainThread] UM.Settings.ContainerRegistry.addContainer : Container [generic_abs #2_ultimaker3_AA_0.4] added. 2019-03-05 10:14:05,754 - DEBUG - [MainThread] UM.Settings.ContainerRegistry.addContainer : Container [generic_abs #2_ultimaker3_AA_0.8] added. 2019-03-05 10:14:05,754 - DEBUG - [MainThread] UM.Settings.ContainerRegistry.addContainer : Container [generic_abs #2_ultimaker3_extended] added. 2019-03-05 10:14:05,754 - DEBUG - [MainThread] UM.Settings.ContainerRegistry.addContainer : Container [generic_abs #2_ultimaker3_extended_BB_0.4] added. 2019-03-05 10:14:05,754 - DEBUG - [MainThread] UM.Settings.ContainerRegistry.addContainer : Container [generic_abs #2_ultimaker3_extended_BB_0.8] added. 2019-03-05 10:14:05,755 - DEBUG - [MainThread] UM.Settings.ContainerRegistry.addContainer : Container [generic_abs #2_ultimaker3_extended_AA_0.25] added. 2019-03-05 10:14:05,755 - DEBUG - [MainThread] UM.Settings.ContainerRegistry.addContainer : Container [generic_abs #2_ultimaker3_extended_AA_0.4] added. 2019-03-05 10:14:05,755 - DEBUG - [MainThread] UM.Settings.ContainerRegistry.addContainer : Container [generic_abs #2_ultimaker3_extended_AA_0.8] added. 2019-03-05 10:14:05,755 - WARNING - [MainThread] UM.Settings.ContainerRegistry.addContainer : Container with ID generic_abs #2_ultimaker3_AA_0.4 was already added. 2019-03-05 10:14:05,757 - DEBUG - [MainThread] UM.Settings.ContainerRegistry.addContainer : Container [ultimaker3_aa04] added. 2019-03-05 10:14:05,758 - DEBUG - [MainThread] UM.Settings.ContainerRegistry.addContainer : Container [ultimaker3_extruder_right #2_settings] added. 2019-03-05 10:14:05,758 - DEBUG - [MainThread] UM.Settings.ContainerRegistry.addContainer : Container [ultimaker3_extruder_right] added. 2019-03-05 10:14:05,759 - DEBUG - [MainThread] UM.Settings.ContainerRegistry.addContainer : Container [ultimaker3_extruder_right #2] added. 2019-03-05 10:14:05,761 - DEBUG - [MainThread] UM.Settings.ContainerRegistry.addContainer : Container [ultimaker3_extruder_left #2_user] added. 2019-03-05 10:14:05,762 - DEBUG - [MainThread] UM.Settings.ContainerRegistry.addContainer : Container [ultimaker3_extruder_left_#2_odroid_case] added. 2019-03-05 10:14:05,764 - DEBUG - [MainThread] UM.Settings.ContainerRegistry.addContainer : Container [um3_aa0.4_PLA_High_Quality] added. 2019-03-05 10:14:05,771 - DEBUG - [MainThread] UM.Settings.ContainerRegistry.addContainer : Container [generic_pla_ultimaker2_plus] added. 2019-03-05 10:14:05,771 - DEBUG - [MainThread] UM.Settings.ContainerRegistry.addContainer : Container [generic_pla_ultimaker2_plus_0.25_mm] added. 2019-03-05 10:14:05,771 - DEBUG - [MainThread] UM.Settings.ContainerRegistry.addContainer : Container [generic_pla_ultimaker2_plus_0.4_mm] added. 2019-03-05 10:14:05,772 - DEBUG - [MainThread] UM.Settings.ContainerRegistry.addContainer : Container [generic_pla_ultimaker2_plus_0.6_mm] added. 2019-03-05 10:14:05,772 - DEBUG - [MainThread] UM.Settings.ContainerRegistry.addContainer : Container [generic_pla_ultimaker2_plus_0.8_mm] added. 2019-03-05 10:14:05,772 - DEBUG - [MainThread] UM.Settings.ContainerRegistry.addContainer : Container [generic_pla_ultimaker2_extended_plus] added. 2019-03-05 10:14:05,772 - DEBUG - [MainThread] UM.Settings.ContainerRegistry.addContainer : Container [generic_pla_ultimaker2_extended_plus_0.25_mm] added. 2019-03-05 10:14:05,772 - DEBUG - [MainThread] UM.Settings.ContainerRegistry.addContainer : Container [generic_pla_ultimaker2_extended_plus_0.4_mm] added. 2019-03-05 10:14:05,772 - DEBUG - [MainThread] UM.Settings.ContainerRegistry.addContainer : Container [generic_pla_ultimaker2_extended_plus_0.6_mm] added. 2019-03-05 10:14:05,773 - DEBUG - [MainThread] UM.Settings.ContainerRegistry.addContainer : Container [generic_pla_ultimaker2_extended_plus_0.8_mm] added. 2019-03-05 10:14:05,773 - DEBUG - [MainThread] UM.Settings.ContainerRegistry.addContainer : Container [generic_pla_ultimaker2] added. 2019-03-05 10:14:05,773 - DEBUG - [MainThread] UM.Settings.ContainerRegistry.addContainer : Container [generic_pla_ultimaker2_go] added. 2019-03-05 10:14:05,773 - DEBUG - [MainThread] UM.Settings.ContainerRegistry.addContainer : Container [generic_pla_ultimaker2_extended] added. 2019-03-05 10:14:05,773 - DEBUG - [MainThread] UM.Settings.ContainerRegistry.addContainer : Container [generic_pla_ultimaker_original] added. 2019-03-05 10:14:05,773 - DEBUG - [MainThread] UM.Settings.ContainerRegistry.addContainer : Container [generic_pla_ultimaker3] added. 2019-03-05 10:14:05,774 - DEBUG - [MainThread] UM.Settings.ContainerRegistry.addContainer : Container [generic_pla_ultimaker3_BB_0.4] added. 2019-03-05 10:14:05,774 - DEBUG - [MainThread] UM.Settings.ContainerRegistry.addContainer : Container [generic_pla_ultimaker3_BB_0.8] added. 2019-03-05 10:14:05,774 - DEBUG - [MainThread] UM.Settings.ContainerRegistry.addContainer : Container [generic_pla_ultimaker3_AA_0.25] added. 2019-03-05 10:14:05,774 - DEBUG - [MainThread] UM.Settings.ContainerRegistry.addContainer : Container [generic_pla_ultimaker3_AA_0.4] added. 2019-03-05 10:14:05,774 - DEBUG - [MainThread] UM.Settings.ContainerRegistry.addContainer : Container [generic_pla_ultimaker3_AA_0.8] added. 2019-03-05 10:14:05,774 - DEBUG - [MainThread] UM.Settings.ContainerRegistry.addContainer : Container [generic_pla_ultimaker3_extended] added. 2019-03-05 10:14:05,774 - DEBUG - [MainThread] UM.Settings.ContainerRegistry.addContainer : Container [generic_pla_ultimaker3_extended_BB_0.4] added. 2019-03-05 10:14:05,775 - DEBUG - [MainThread] UM.Settings.ContainerRegistry.addContainer : Container [generic_pla_ultimaker3_extended_BB_0.8] added. 2019-03-05 10:14:05,775 - DEBUG - [MainThread] UM.Settings.ContainerRegistry.addContainer : Container [generic_pla_ultimaker3_extended_AA_0.25] added. 2019-03-05 10:14:05,775 - DEBUG - [MainThread] UM.Settings.ContainerRegistry.addContainer : Container [generic_pla_ultimaker3_extended_AA_0.4] added. 2019-03-05 10:14:05,775 - DEBUG - [MainThread] UM.Settings.ContainerRegistry.addContainer : Container [generic_pla_ultimaker3_extended_AA_0.8] added. 2019-03-05 10:14:05,775 - DEBUG - [MainThread] UM.Settings.ContainerRegistry.addContainer : Container [generic_pla_ultimaker_s5] added. 2019-03-05 10:14:05,775 - DEBUG - [MainThread] UM.Settings.ContainerRegistry.addContainer : Container [generic_pla_ultimaker_s5_BB_0.4] added. 2019-03-05 10:14:05,776 - DEBUG - [MainThread] UM.Settings.ContainerRegistry.addContainer : Container [generic_pla_ultimaker_s5_BB_0.8] added. 2019-03-05 10:14:05,776 - DEBUG - [MainThread] UM.Settings.ContainerRegistry.addContainer : Container [generic_pla_ultimaker_s5_CC_0.6] added. 2019-03-05 10:14:05,776 - DEBUG - [MainThread] UM.Settings.ContainerRegistry.addContainer : Container [generic_pla_ultimaker_s5_AA_0.25] added. 2019-03-05 10:14:05,776 - DEBUG - [MainThread] UM.Settings.ContainerRegistry.addContainer : Container [generic_pla_ultimaker_s5_AA_0.4] added. 2019-03-05 10:14:05,776 - DEBUG - [MainThread] UM.Settings.ContainerRegistry.addContainer : Container [generic_pla_ultimaker_s5_AA_0.8] added. 2019-03-05 10:14:05,776 - DEBUG - [MainThread] UM.Settings.ContainerRegistry.addContainer : Container [generic_pla_imade3d_jellybox] added. 2019-03-05 10:14:05,776 - DEBUG - [MainThread] UM.Settings.ContainerRegistry.addContainer : Container [generic_pla_imade3d_jellybox_0.4_mm] added. 2019-03-05 10:14:05,777 - DEBUG - [MainThread] UM.Settings.ContainerRegistry.addContainer : Container [generic_pla_imade3d_jellybox_0.4_mm_2-fans] added. 2019-03-05 10:14:05,777 - WARNING - [MainThread] UM.Settings.ContainerRegistry.addContainer : Container with ID generic_pla_ultimaker3_AA_0.4 was already added. 2019-03-05 10:14:05,778 - DEBUG - [MainThread] UM.Settings.ContainerRegistry.addContainer : Container [ultimaker3_extruder_left #2_settings] added. 2019-03-05 10:14:05,779 - DEBUG - [MainThread] UM.Settings.ContainerRegistry.addContainer : Container [ultimaker3_extruder_left] added. 2019-03-05 10:14:05,779 - DEBUG - [MainThread] UM.Settings.ContainerRegistry.addContainer : Container [ultimaker3_extruder_left #2] added. 2019-03-05 10:14:05,863 - DEBUG - [MainThread] UM3NetworkPrinting.src.UM3OutputDevicePlugin.checkCloudFlowIsPossible : Cloud Flow not possible: User not logged in! 2019-03-05 10:14:06,119 - INFO - [Thread-2] FirmwareUpdateChecker.FirmwareUpdateCheckerJob.run : You have a(n) Ultimaker 3 in the printer list. Do firmware-check. 2019-03-05 10:14:06,269 - WARNING - [Thread-2] FirmwareUpdateChecker.FirmwareUpdateCheckerJob.getUrlResponse : Could not reach 'http://software.ultimaker.com/releases/firmware/9066/stable/version.txt', if this URL is old, consider removal. 2019-03-05 10:14:06,565 - DEBUG - [MainThread] PostProcessingPlugin.PostProcessingPlugin._createView : Creating post processing plugin view. 2019-03-05 10:14:06,731 - DEBUG - [MainThread] PostProcessingPlugin.PostProcessingPlugin._createView : Post processing view created. 2019-03-05 10:14:06,804 - DEBUG - [MainThread] cura.Machines.Models.BuildPlateModel._update : Updating BuildPlateModel. 2019-03-05 10:14:06,999 - DEBUG - [MainThread] UM3NetworkPrinting.src.DiscoverUM3Action._createAdditionalComponentsView : Creating additional ui components for UM3. 2019-03-05 10:14:07,015 - DEBUG - [MainThread] UM3NetworkPrinting.src.DiscoverUM3Action.startDiscovery : Starting device discovery. 2019-03-05 10:14:07,069 - DEBUG - [MainThread] cura.Machines.Models.NozzleModel._update : Updating NozzleModel. 2019-03-05 10:14:07,125 - WARNING - [MainThread] UM.Qt.QtApplication.__onQmlWarning : file:///usr/lib/cura/plugins/PrepareStage/PrepareMain.qml:16:5: QML ActionPanelWidget: Binding loop detected for property "width"
2019-03-05 10:14:07,148 - DEBUG - [MainThread] ModelChecker.ModelChecker._createView : Creating model checker view. 2019-03-05 10:14:07,156 - DEBUG - [MainThread] ModelChecker.ModelChecker._createView : Model checker view created. 2019-03-05 10:14:07,178 - DEBUG - [MainThread] UM.Mesh.MeshData.approximateConvexHull : approximateConvexHull(target_count=1024) Calculating 3D convex hull took 0.011363029479980469 seconds. 132 input vertices. 132 output vertices. 2019-03-05 10:14:07,210 - DEBUG - [MainThread] cura.Machines.MachineErrorChecker._rescheduleCheck : New error check scheduled. 2019-03-05 10:14:07,218 - DEBUG - [MainThread] cura.Machines.QualityManager.initialize : Lookup tables updated. 2019-03-05 10:14:07,237 - INFO - [MainThread] cura.Settings.MachineManager._updateQualityWithMaterial : Current available quality type [high] is available, applying changes. 2019-03-05 10:14:07,258 - DEBUG - [MainThread] UM.Settings.ContainerRegistry.addContainer : Container [Ultimaker 3 #2_user] added. 2019-03-05 10:14:07,259 - DEBUG - [MainThread] UM.Settings.ContainerRegistry.addContainer : Container [um3_global_Normal_Quality] added. 2019-03-05 10:14:07,261 - DEBUG - [MainThread] UM.Settings.ContainerRegistry.addContainer : Container [Ultimaker 3 #2_settings] added. 2019-03-05 10:14:07,261 - DEBUG - [MainThread] UM.Settings.ContainerRegistry.addContainer : Container [Ultimaker 3 #2] added. 2019-03-05 10:14:07,263 - DEBUG - [MainThread] UM.Settings.ContainerRegistry.addContainer : Container [BQ Hephestos 2_user] added. 2019-03-05 10:14:07,264 - DEBUG - [MainThread] UM.Settings.ContainerRegistry.addContainer : Container [extra_coarse] added. 2019-03-05 10:14:07,266 - DEBUG - [MainThread] UM.Settings.ContainerRegistry.addContainer : Container [BQ Hephestos 2_settings] added. 2019-03-05 10:14:07,331 - DEBUG - [MainThread] UM.Settings.ContainerRegistry.addContainer : Container [bq_hephestos_2] added. 2019-03-05 10:14:07,331 - DEBUG - [MainThread] UM.Settings.ContainerRegistry.addContainer : Container [BQ Hephestos 2] added. 2019-03-05 10:14:07,338 - INFO - [MainThread] FirmwareUpdateChecker.FirmwareUpdateChecker.checkFirmwareVersion : No machine with name BQ Hephestos 2 in list of firmware to check. 2019-03-05 10:14:07,347 - DEBUG - [MainThread] cura.Machines.Models.CustomQualityProfilesDropDownMenuModel._update : Updating CustomQualityProfilesDropDownMenuModel. 2019-03-05 10:14:07,348 - DEBUG - [MainThread] cura.Machines.Models.QualityProfilesDropDownMenuModel._update : Updating QualityProfilesDropDownMenuModel. 2019-03-05 10:14:07,349 - DEBUG - [MainThread] UM.Settings.ContainerRegistry.addContainer : Container [um3_global_Draft_Quality] added. 2019-03-05 10:14:07,364 - DEBUG - [MainThread] UM.Settings.ContainerRegistry.addContainer : Container [um3_global_Fast_Quality] added. 2019-03-05 10:14:07,393 - DEBUG - [MainThread] UM.Settings.ContainerRegistry.addContainer : Container [um3_global_Superdraft_Quality] added. 2019-03-05 10:14:07,408 - DEBUG - [MainThread] UM.Settings.ContainerRegistry.addContainer : Container [um3_global_Verydraft_Quality] added. 2019-03-05 10:14:07,588 - DEBUG - [MainThread] UM.View.GL.OpenGL.__init__ : Initialized OpenGL subsystems. 2019-03-05 10:14:07,761 - DEBUG - [MainThread] cura.Machines.QualityManager.initialize : Lookup tables updated. 2019-03-05 10:14:07,866 - DEBUG - [MainThread] cura.Machines.Models.CustomQualityProfilesDropDownMenuModel._update : Updating CustomQualityProfilesDropDownMenuModel. 2019-03-05 10:14:07,867 - DEBUG - [MainThread] cura.Machines.Models.QualityProfilesDropDownMenuModel._update : Updating QualityProfilesDropDownMenuModel. 2019-03-05 10:14:09,097 - DEBUG - [MainThread] CuraEngineBackend.CuraEngineBackend.slice : Going to slice build plate ! 2019-03-05 10:14:11,080 - INFO - [MainThread] STLReader.STLReader.load_file : Using NumPy-STL to load STL data. 2019-03-05 10:14:11,091 - DEBUG - [MainThread] UM.Mesh.MeshData.approximateConvexHull : approximateConvexHull(target_count=1024) Calculating 3D convex hull took 0.009678840637207031 seconds. 351 input vertices. 351 output vertices. Does the AppImage work on the same computer? Checked the beta 2 now.. Interestingly it does not crash. Something I also notice is that the margins are missing in some buttons in my packages. But that must be another story. We're still working on some issues w.r.t. the PPA for 4.0 final. Ah. The last posts in that issue seemed to blame a newer Qt version. Oh I see. But in that case I guess that shouldn't matter for the AppImage? Both the segfault when loading the QML and the missing margins could be caused by having a different Qt version. Are you really sure it is about Qt? I mean during the last years Cura together with different Qt versions was never so fragile. I understand that a minimum version is needed for the new theme, but I remember that I used Cura about 1...1.5 months before and it worked fine on the same machine. Sadly I recently use Cura with my PPA too less, so I don't notice when these problems happen. No, I'm not sure this is Qt, but it seems a likely candidate if the Qt version is indeed different. We did see some breaking of backwards compatibility with Qt 5.11 for some people (though for me it works fine). Btw. noticed that I'm on Qt 5.11.1, but there is 5.11.3 on Debian already. Normally Ubuntu is pushing hard in updates. Wondering why they stopped here. However don't see any specific patches between 5.11.1 and 5.11.3. If there is something, then it must have been provided by Qt already. As far as I know, nobody in this office tried 5.12 yet. That may come for me when the Ubuntu update 19.04 is released. Qt 5.12.2 (x86_64-little_endian-lp64 shared (dynamic) release build; by GCC 8.2.1 20181127) on "xcb"
okay , so compiled master from git and had issue on my 2head desktop where it would not go past splash screen , different issue, so went over to my laptop and compiled from git there and am having same segfault for preview. On Sun, Apr 7, 2019, 14:17 Thomas Karl Pietrowski ***@***. ***> wrote: Hmm, I'm not an ArchLinux expert, but I don't see where you are using Qt 5.12+ in your script. 🤔 — You are receiving this because you commented. Reply to this email directly, view it on GitHub <#5392 (comment)>, or mute the thread <https://github.com/notifications/unsubscribe-auth/AVbAF-bjNyUYNfdLPCf76KCcO2caqYiCks5vee_VgaJpZM4beIS6> . Maybe using gdb beneath python? Sounds like the crash is happening before Python's debugger is able to come up. I'm currently using Qt 5.12 via the PyQt installation on Pip (Ubuntu 18.10) and running Cura fine.